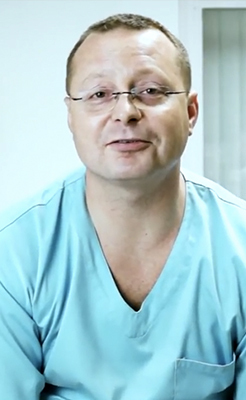 MD, PhD Tomasz Jakobek is a doctor of medicine, specialist in gynaecology and obstetrics. In 1994 he graduated from the Faculty of Medicine of the Medical Academy in Poznan. His career developed into specialization in gynaecology and obstetrics exactly 5 years later. In 2007, dr Jakobek received his second degree specialization in obstetrics and female disorders. After that time he promoted into position of head of the Gynaecological Department in Wyrzysk. Currently, he is deputy head in the Gynaecology and Obstetrics Military Hospital in Wałcz. Apart from his activities in Poland he offers assistance for Polish patients at the Victoria Clinic Manchester. His expertise, extensive knowledge and a wide range of services, in which he specializes, allow for the provision of gynaecological care at a high level. The combination of professionalism and empathy makes patients feel safe and comfortable. Each consultation is exhaustive and never runs in a hurry, so that each case is well studied, every doubt is heard. Privately he loves caravanning and kayaking. He communicates in Polish, English, German and Russian with his patients.